<firstimage=”//static.makeuseof.com/wp-content/uploads/2010/09/00-Dropbox-WP-Photo.jpg”> One of my friends – a photography enthusiast – asked for my help. She set up her WordPress blog with one of the free services Top 7 Easy and Free Web Hosting Services Top 7 Easy and Free Web Hosting Services Are you looking for a good free web host for your first website? Don't look beyond these seven top-notch web hosts that have a good reputation. Read More out there and she can blog just fine from her home and office. However, her problem is that she can’t use free image storage services to store her images because her office blocks all access to those services. She also hesitated to upload her photos directly to her blog because of the storage limitation from her blog service. While she does have a plan to move the blog How To Move Your Wordpress Blog To Another Host How To Move Your Wordpress Blog To Another Host Read More to a more reliable paid host in the future, she wants to be able to store her blog photos somewhere until the moving time comes (or maybe forever). Until that time comes, a possible solution would be to host all of the images on Dropbox and link to them from there. 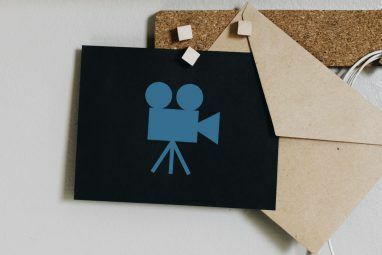 Aside from the storage limitation from the blog provider, I can think of two other good reasons why anybody would want to store their blog images not on their own blog server. The first one is to avoid bigger problems in the future when you have to move your blog because, based on my own experience, moving databases of only text is less problematic than moving databases of multimedia files. The second reason is to cut expenses on storage space and traffic bandwidth, as images take up more space and cost more bandwidth each time a visitor loads the page. To solve my friend’s problem, the place where you can store your images outside of image hosting services Best Free Image Hosts (HotLinking allowed, No Bandwidth Limits...) Best Free Image Hosts (HotLinking allowed, No Bandwidth Limits...) Read More (such as Flickr or Picasa Web Album), is Dropbox and its “Public” folder feature. The main reason is that a personal public folder will never be blocked by any computer admin in any office (unless those admins have nothing better to do). First you create a folder inside your Dropbox Public folder where you will put images for your blogs. You can give it any name, something like “Blog Images”. If you have more than one blog, you can also create several specific folders; one for each blog. Next, after you put your images, that you want to use in your blog, inside that folder, right click on one image and choose the “Dropbox – Copy Public Link” option from the pop up menu. The next step is to use those images in your blog. I will use WordPress as an example, but the method can also be used on other types of major blog platforms. Basically we are linking external images to be used in our blog post. After creating a new post, click the “Add Image” button located just below the title field. Choose the “From URL” tab in the pop-up window, and paste the Dropbox public link in the “Image URL” field. A green checkmark will appear telling you that the link is valid. Give the image a title, and customize other settings if you want to. Click “Insert” to complete the process. Repeat the process for other images, and after you have finished writing the post, click the “Publish” button. If everything goes well, the post with the “Dropboxed” images will appear in your blog without any problem. 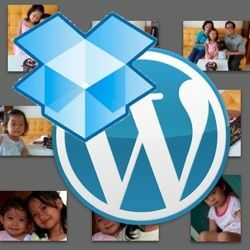 There are other advantages to using Dropbox to store your blog images, such as the ability to update image collections with desktop convenience from multiple computers, and the ability to use images from others (provided that your friends share the URLs with you). Here’s one must-try trick that I found: you can replace a photo in your Public folder with another photo (both must use the same name), and the image in the blog with that name will automatically be updated with the new one. So you could change images in your blog as often as you like, without the hassle of deleting and re-uploading. Pretty cool, huh? 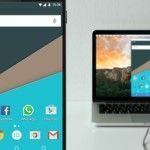 The only thing that you have to keep in mind about using this method is to be careful not to accidentally delete your Public folder’s content. Even though the items could be recovered easily, you’ll end up with more unnecessary work. What do you think of this idea? Will you use your Dropbox to store your blog images? Share your thoughts using the comments below. Explore more about: Cloud Storage, Dropbox, Webmaster Tools. I realize this post is five years old and no one may see this, but I have three questions relating to hosting images on Dropbox. My site currently has 25,000 photos, each reduced to 850x600 (around 100 to 125 kb) that I'm considering migrating to some sort of external image hosting solution, and Dropbox is one of the things I'm considering. I already have a paid Dropbox account and should have plenty of storage space, but what about bandwidth? My site currently gets about 45,000 page views per month (and hopefully growing). Will I run into bandwidth problems with Dropbox? Can I have multiple Dropbox accounts on one computer (I have a work account but would want to keep these separate)? And, finally, this article is great about URLs for single images, but will this work for image galleries? I currently have one gallery per WordPress post with about 75 images in each gallery. Will it not increase the site loading time? There are several factors that influence loading time, such as server speed and the total file size. "Hosting" our image at Dropbox is similar to hotlinking image from other site, so it's only as fast (or slow) as the image hoster server speed. And - afaik - Dropbox is fast. Indeed a very good read! Very informative post with pretty good insight on all aspects of the topic! Will keep visiting in future too! @Jacob: Are you sure about the .edu thing? Glad this one could be useful for you. Nice idea, but really no better than the sites you are replacing. Admin often block dropbox.com just like they block any of the image sites. The do not have to block the exact address of the personal public folder because the door of the url is still Dropbox.com. Just get an extra Dropbox account! It's a pretty good solution. It's too bad that you are capped to 2GB for your online storage. Share the love and you'll get bigger storage (additional 250 Mb per refferal). My company blocks access to Dropbox. I work for a very large tech company. So sorry to hear that. 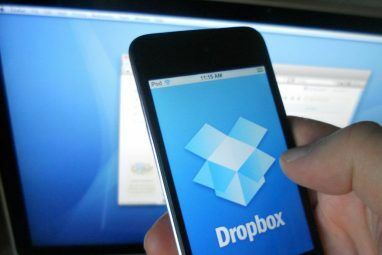 Dropbox is one of the most useful tools that I've encounter.